Better Connected Veterinarians Are Better Veterinarians. As we created VitusVet, our goal was to improve the lives of animals, but to do that we realized that we needed to improve how veterinary clinics shared information. It sounds simple but it is actually very difficult because a lot of clinic's have a common problem: collecting and sharing information efficently, because too much time is being spent on the fax or phone. Fletch was a young beagle who broke his leg Friday night and was taken to his local ER clinic, where they worked him up with a complete diagnostic database, including radiographs of the affected limb. Unfortunately, that facility didn't have a surgeon available on the weekend, so Fletch would have had to wait until Monday to have the leg fixed. Not ideal. Print a copy of the notes/labwork to give to the owner for transport to the surgeon. Since the ER hospital was using our software, they didn't have to do any of this. Instead, by merely clicking one button, Fletch's entire record (including his radiographs) were shared with the surgical practice in the blink of an eye. In fact, his record arrived at the surgical facility before Fletch and his owners were even out of the ER parking lot. 1. The patient got better care- The more information we have about our patients, the better care we can take care of them. No more records are "lost in the shuffle". 2. Great customer service- Your client is already stressed, the more you can do to lessen that stress, the better. The smooth transition is a garentee that client will come back to your clinic or even better, refer you to their friends. 3. Conserved resources for treatment instead of repeat disgnostics- Given the choice of spending $500 on repeat diagnostics or putting that money toward a procedure, which would you choose? This was a win/win/win: the pet, client, and veterinarian all benefited from making it easier to share information. 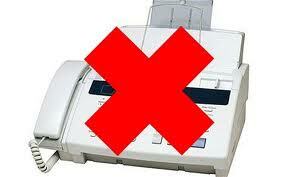 And I didn't even mention your front desk staff: not having to fax records anymore is a dream come true for them! I don't tell this story to brag on our software but to point out that the future of veterinary medicine involves increased connectedness. In the past, those who had information and controlled it had all the power. But now, information is ubiquitous. It's everywhere. Our vision is that the veterinarians who are going to be the most successful in the future are those that best learn how to SHARE information.